ESTERO, Fla. - Nov. 9, 2018 - PRLog -- Feld Entertainment, Inc., the worldwide leader in producing live touring family entertainment, announces it will bring the Academy Award-winning and No. 1 animated feature film of all time, Disney's Frozen, to a hometown near you. 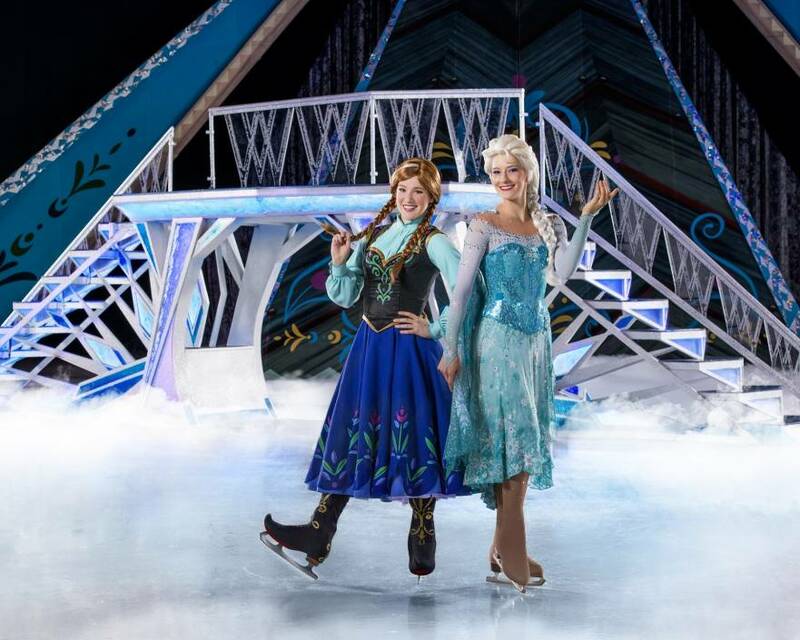 Disney On Ice presents Frozen visits Southwest Florida from March 15-17, 2019 for seven performances at the Hertz Arena in Estero. Tickets are now on sale at www.disneyonice.com. The complete adventure of the Academy Award-winning tale will be told live in this production, capturing the dynamic of two royal sisters, Anna and Elsa. Anna, a girl with an extraordinary heart, embarks on an epic journey to find her sister, the magical Elsa, who is determined to remain secluded as she finally feels free to test the limits of her powers. Rugged mountain man Kristoff, his loyal reindeer Sven, the lovable and hilarious snowman Olaf and the mystical trolls help Anna along the way in this story about love conquering fear. Audiences will get to sing along with such musical masterpieces as "Let it Go," "Do You Want to Build a Snowman?" and "Fixer Upper." "In our many years of producing Disney On Ice shows, Feld Entertainment has been waiting for a film like this," says producer Nicole Feld. "While it might seem obvious that Frozen is well suited for the ice, this Disney On Ice production will touch audiences emotionally through innovative show elements and world-class skating." Frozen directors Chris Buck and Jennifer Lee add, "Seeing audiences around the world embrace Frozen has been the experience of a lifetime. And to now have the chance to consult with the talented team at Feld Entertainment and watch their creation come to life on ice, is thrilling." In Disney On Ice presents Frozen, Mickey Mouse and Minnie Mouse take the audience through the magical story based in Arendelle, with special appearances by beloved Disney princesses and favorite characters from Disney/Pixar's Toy Story and Finding Nemo and Disney's The Lion King, who come together to prove that true love is the greatest power of all. Director Patty Vincent says, "Our goal is to showcase these heartwarming characters in a way that allows the audience to cheer and sing along throughout this emotional journey." To create a completely immersive experience for the audience, the set design will encompass the space from the ice surface up through the air, drawing everyone into the story and closer to the characters. Families will feel that they are trekking up to the North Mountains with Anna, Kristoff and Sven, and they will tangibly experience the storm inside Elsa. Elsa's magic will be enhanced by state-of-the art special effects while her emotions will be conveyed through powerful skating. Feld Entertainment® is the worldwide leader in producing and presenting live touring family entertainment experiences that bring people together and uplift the human spirit. Properties include Monster Jam®, Monster Energy Supercross, Disney On Ice, Disney Live!, Marvel Universe LIVE!, Sesame Street Live!, DreamWorks Trolls The Experience (coming Fall 2018) and Jurassic World Live (coming Fall 2019). Across the brand portfolio, Feld Entertainment has entertained millions of families in more than 75 countries and on six continents. Visit www.feldentertainment.com for more information.